Apple has been a pioneer when it comes to adopting new materials that make our gadgets even greater. And the company usually doesn’t stop when it finds one. Jony Ive and Apple’s industrial design team have a fascination with developing new materials and manufacturing processes that are even greater than those it is already using. In retrospect, then, it’s not that surprising that Apple did away with 18-karat gold for this year’s Apple Watch Edition and used white ceramic instead. The material is stronger than steel, with a “pearly, lustrous finish that won’t scratch or tarnish,” Apple says — and it’s a heck of a lot cheaper than gold. This combination of properties, along with other characteristics of the material, might make ceramic ideal for the iPhone 8. For the past four years, the iPhone has featured an aluminum unibody design just like many other Apple products. Aluminum is great for smartphones and other gadgets because it’s lightweight, relatively strong, and it doesn’t scratch easily. But ceramic is even better. Its hardness makes ceramic almost impervious to scuffs and scratches. Zirconia ceramic, which is what Apple uses for the new Watch Edition, is rated 8.5 on the Mohs scale of mineral hardness. In comparison, steel is rated 4.5, while aluminum is rated just 2.5 to 3. Unless you rest your ceramic iPhone on a bed of diamonds, the chance of it getting scratched up during normal, everyday use is next to none. “Aluminum in almost all forms exhibits a higher likelihood of retaining scratches, scuffs and staining,” explains Brian Roemelle, alchemist and metaphysician, in a thread over on Quora about why zirconia ceramic would be perfect for a future iPhone. Good luck scratching the new ceramic Apple Watch Edition. “Zirconia ceramics also can be pigmented to any color palette without the use of exterior paints,” Roemelle adds. Sadly, the same cannot be said about aluminum. Since disappointing us with the slate iPhone 5, which was painted and notorious for chipping and scratching, Apple has been anodizing all of its aluminum devices. This prevents them from chipping and peeling, but there are only so many colors that can be created when anodizing. What’s more, glossy aluminum color options are even more susceptible to scratching. Apple has already warned that the new jet black iPhone 7 will pick up surface scratches without a case, but the ceramic Apple Watch Edition’s “smooth surface” with “an exquisite shine” will not. Zirconia ceramic can even be completely transparent. That means Apple could offer an iPhone you could see into. It seems unlikely, but we’ve seen transparent Apple products before. Transparent ceramic could even be used to protect future iPhone displays. If you’ve ever used your iPhone for a prolonged period, especially during a mammoth gaming session or while it’s charging, you’ve probably noticed its aluminum unibody can get pretty hot. But zirconia ceramic is significantly better at dissipating heat. In fact, ceramic is so good at this that it was used by NASA on the space shuttle orbiter to prevent it from melting during re-entry. If Apple used zirconia for the iPhone, the device’s shell would be more efficient at carrying heat away from the processor and other internal components. 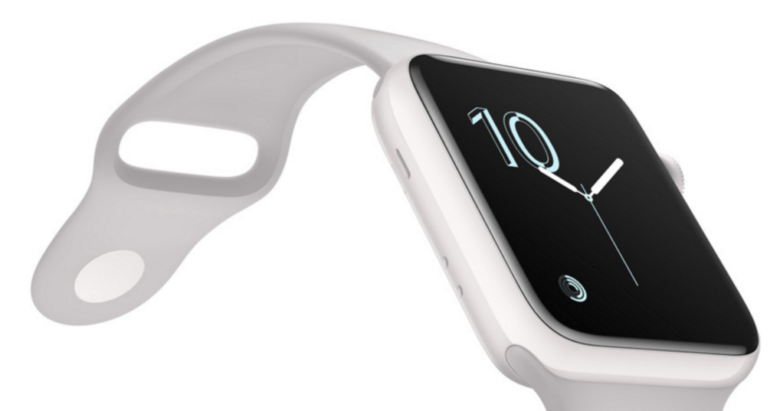 The new ceramic Apple Watch Edition only comes in white, but that could change. Apple has made the antenna bands slightly better looking for iPhone 7, but they’re still there — and they’re still ugly. But if Cupertino chose to use ceramic for iPhone 8, those antenna bands could be eliminated. Unlike aluminum, ceramic doesn’t block radio signals. All those chips inside your iPhone that need to send and receive radio signals — Wi-Fi, cellular, Bluetooth, NFC and GPS — wouldn’t be restricted by a ceramic body in the same way they are by metal. Another big advantage of ceramic highlighted by Roemelle is that it’s easier to manufacture. Apple has patented production processes that allow devices containing ceramic and polymer components to be manufactured quickly and with higher precision than when using metal. “Apple has created a system whereby injection molding can be used to form the unibody of a device and to mate that device efficiently to a screen,” Roemelle writes. Giving us enough power to make it through the day is one of the toughest challenges smartphone makers face with existing lithium-ion battery technologies. The only way to achieve this is with bigger batteries that take up more room and make our devices fatter. Apple has already given us slightly bigger batteries in iPhone 7 and iPhone 7 Plus, but that’s one of the reasons why the headphone jack had to go. However, if Apple was to make iPhone 8 out of ceramic, the handset’s entire body could become the battery. That’s thanks to new lithium-ceramic battery technology, which is much more resilient than lithium-ion. Lithium-ceramic batteries can be cut in half and still operate normally, which makes them much safer than most alternatives. They’re also more recyclable. However, lithium-ceramic isn’t yet as efficient as lithium-ion, so perhaps this particular advantage won’t present itself in iPhone 8. But it’s something Apple will almost certainly be looking at for the future. Apple Watch Edition from start to finish. Although zirconia ceramic offers a number of massive advantages over aluminum, the material isn’t perfect. While most metals can bend without breaking, making them rather durable when dropped, ceramic is much more brittle, which means it’s more likely to shatter on impact. A ceramic iPhone 8 might be nearly immune to scratches, but drop it on a hard surface without a case and it could break into a million tiny pieces like a china mug. 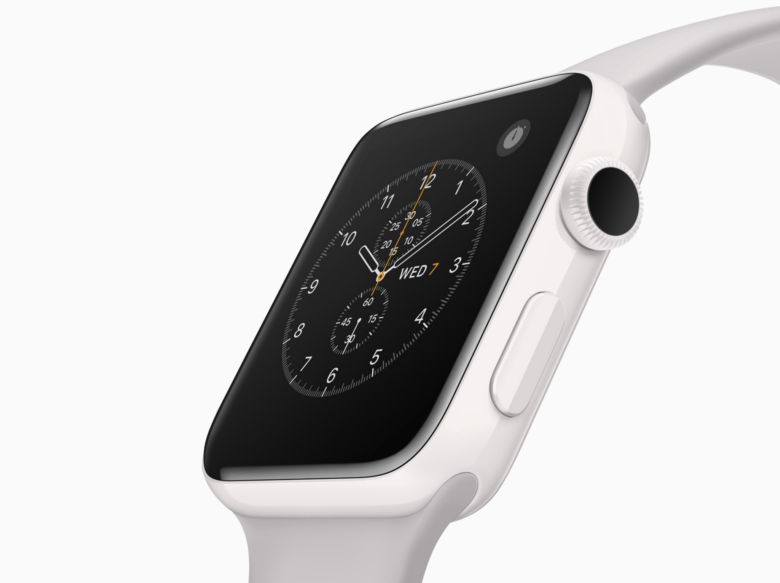 Ceramic is also more expensive than aluminum, which is why the new Apple Watch Edition starts at a whopping $1,249. However, the more Apple uses the material, and the better the company gets at manufacturing it, the more affordable ceramic will become. Is a ceramic iPhone still an ideal upgrade? Yes, there are downsides, but ceramic seems immensely better than aluminum for a device like the iPhone. Roemelle thinks it makes so much sense that a ceramic iPhone 8 is almost inevitable. “There will be ergonomic curves that will mold into the new AMOLED display being driven by video chips that simply could not have thermally operated in such a small space without heat efficiency of zirconia ceramics,” he writes.